You’re probably already realizing the benefits your Microsoft Office solutions provide in improving productivity and collaboration in the office, but did you also know that Office 365 is ideal for today’s mobile team? Mobile productivity allows your employees to be more connected, than ever before, allowing them to collaborate from any mobile device, wherever they may be. Microsoft O ffice 365 allows mobile employees to create, view and edit documents, using a secure connection, from anywhere in the world. And because Office 365 offers a consistent experience across all mobile devices, your employees can collaborate and work efficiently, whether they’re on a Windows device, an Android or iOS. In conjunction with OneDrive for Business, users can create, save and sync documents, with anyone in the company, from virtually anywhere. Anywhere Access allows your employees to work in real time, monitor changes and when the document is ready, distribute it to the team. Microsoft’s file storage and sharing features are designed to assist you in working with your files wherever you may be. This feature allows team members to update, co-author and find files, quickly and easily, from any mobile device. Combined with OneDrive, for Business, employees can access all of their files, quickly and easily, automatically, syncing their files to their desktop or work with the files off-line, if they desire. File storage and sharing also allow users to preview more than 270 different file types, including Adobe Photoshop, Adobe PDF, Adobe Illustrator, Visio files and others, saving time and increasing efficiency. The Email and Calendaring functionality of Office 365 allow employees to access schedules, tasks, conversations, and content from any mobile device. Shared mobile calendars allow users to see when coworkers are available or occupied, increasing productivity and saving time. This feature also gives users access to group inboxes that sync across all devices. And if any of your employees ever lose their mobile phone, there’s no need to panic – devices can be wiped, remotely, ensuring that your confidential business communications and documents are secure. Office 365 also includes an administrative console, allowing the administrator to create new users, restore deleted users, create custom scripts and more. Antispam filters and anti-malware features are also included to protect your business from ever-changing and emerging threats. Office 365 provides flexible and customizable policies, allowing your business to protect your data and control access to it, in the cloud. Intuitive administrative functionality allows the administrator to flag over 80 different types of data, allowing you to encrypt and protect sensitive data such as passport numbers, medical data, and credit card numbers, to name a few. If your compliance safeguards are difficult to implement or use, you’re increasing the risk that inappropriate sharing of data or data breaches will occur. With Office 365’s message encryption, you can rest assured that your sensitive business information is encrypted and protected from prying eyes. Headquartered in St. Louis, Missouri, Wheelhouse Solutions can assist you in getting started with Microsoft Office 365 or any of the suite of Microsoft products and services. We’ll work with you to analyze your needs and recommend a strategy that’s custom designed for your business. 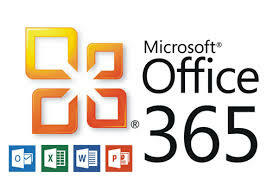 If you would like more information about Microsoft Office 365, click here or call us at 314-492-2506 to speak with one of our knowledgeable sales representatives.